'I prefer to consider the painting as a thing in the world rather than … as a picture of things in the world.' Gillian Carnegie who was nominated for the Turner Prize n 2005 uses traditional painterly techniques and skills to push contemporary conceptual ideas in her paintings. 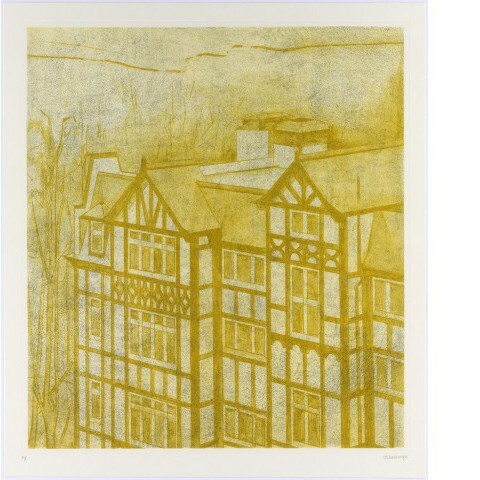 Overlook is one of two etchings by Gillian Carnegie, Statue and Overlook. 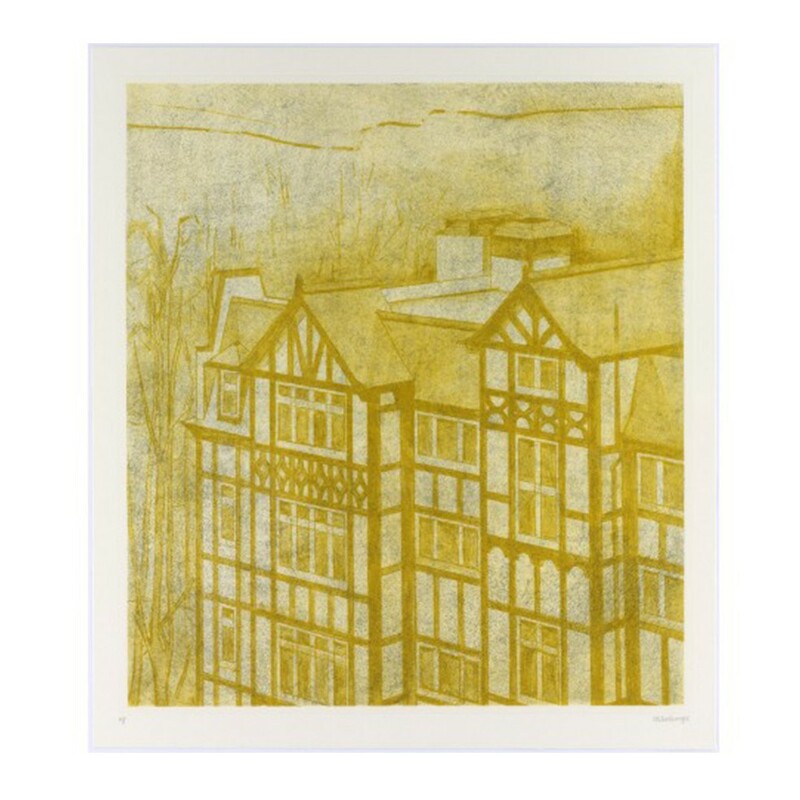 Both illustrate aspects of the architecturally striking Holly Lodge Estate in Highgate, London built in the 1920s by the Lady Workers Guild specifically to accommodate single women workers, which has provided subject-matter for a large body of paintings by the artist. Single etching on 350gsm Hahnemuhle natural paper, published by The Paragon Press 2008. Gillian Carnegie (born 1971 in Suffolk) is a graduate of the Camberwell School of Art and of the Royal College of Art, London, 1996–98, where she was taught by Peter Doig. She works in traditional genres – landscape, still life, portraits – using oil paint applied in dense impasto, a technique employed particularly in her Black Square paintings to evoke the mystery of thickly wooded landscapes in winter with patterns formed by interlacing bare branches.